Fun game indoors and out! An easy and fun game for almost every age. Similar to horseshoes, this game is played with teams of two and a flying disc. 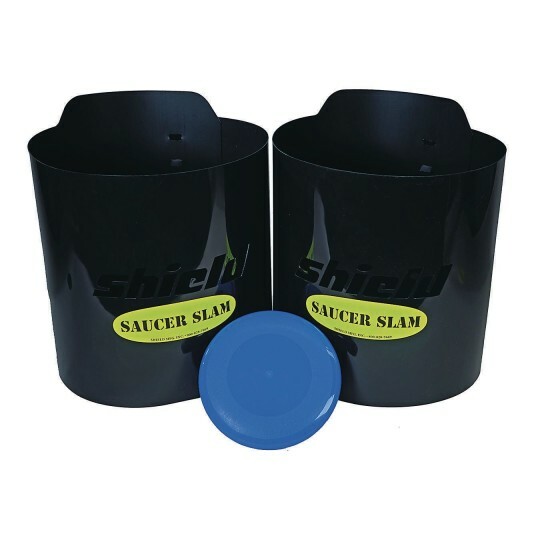 Set contains one flying disc, two scoring containers, and an Activity Guide that contains 8 Saucer Slam games. Can be played indoors and out.